The Bureau of Immigration arrested 533 foreigners last year amid a crackdown on people living and working in the Philippines without valid visas. Over the same period, 611 foreigners were deported after they were found guilty of violating the country’s immigration laws. 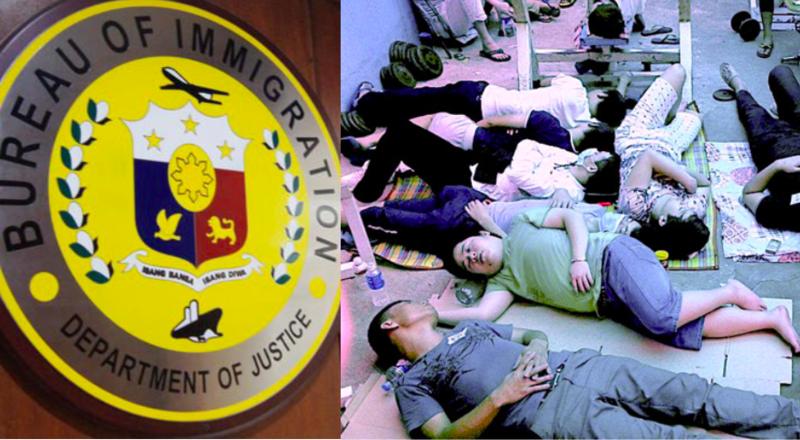 BI Commissioner Jaime Morente said that many of those arrested were caught working without permits or “engaging in gainful activity without proper visas”. “I am proud to say that due to our intensified campaign against illegal aliens, the number of arrests we made last year was 326 per cent higher than those apprehended in 2017,” he added. The BI chief said the resolution of the more than 600 deportation cases was “expedited to decongest” the notorious Bicutan detention facility in Taguig City. Earlier this week we reported on the death of American detainee William Mark St Cyr, who died of tuberculosis at the facility. The 55-year-old had been detained in Bicutan since 2013 awaiting deportation. His case had been delayed by legal actions in the Philippines that were later thrown out of court. Another detainee, who has also been locked up in Bicutan since 2013, wrote on Facebook yesterday (Monday, February 5) that one inmate he had spoken to was preparing to mark his 19th year inside next Sunday. “There is no justice,” he said. Despite such concerns over the often lengthy deportation process and dangerous, insanitary conditions in Bicutan, the bureau is pressing ahead with its crackdown. BI intelligence chief Fortunato Manahan said that last year’s arrests included people who had overstayed their visas and people working in the country without the correct paperwork. Manahan said that most of those arrested were Chinese (393), followed by 52 Koreans, 12 Americans and “a number of Africans”. The shortfall in these numbers from the total of 533 has not been explained. However, Morente did say that the “533 arrested aliens do not include the more than 200 foreign fugitives apprehended by the bureau”. As we reported last month, the BI vowed to “toughen up” the regime at Bicutan after reportedly discovering weapons and other contraband in cells. However, detainees were quick to respond to the official account of the raid, accusing the centre’s management of massive corruption and negligence. So what are you saying “Anonymous says”, for the Philippines to remove all Immigration laws? If Filipinos using the rule of law to manage their own country is “narcissistic, racist and lacking empathy…”, then so be it. If you’re a foreigner and you’re in the Philippines, please feel free to go, nobody will be missing you.